Luxe limousines New Orleans airport transportation would like to welcome you to our airport ground transportation portal. We provide to and from airport pick up and drop off airport transfer services. Specifically to the New Orleans Louis Armstrong International Airport (MSY). As well as the New Orleans Lakefront Airport. Our airport car services include meet and greet in baggage claim. We also have a large selection of vehicles to choose from. Thus, ranging from Lincoln town car sedans to SUVs to sprinter vans and minibusses. When you book your New Orleans airport transportation car service with Luxe Limousines, expect to get responsive dependable service. Every time you book. For instance, due to changing weather and flight conditions, we make it a point to keep a close eye on your flight. Not only does our office keep track, but the assigned driver also tracks and monitor your flight. Therefore ensuring you a timely pickup. Passengers arriving at MSY are met by their driver in luggage claim. As the driver will be waiting for you there with a welcome sign. Once contact is made with the driver. The driver will then take you to the parking lot. Where the vehicle will be waiting for you. In addition to airport car services, Luxe Limousines also provides transfer services to and from the Port of New Orleans. With car service to all the cruise ship port terminals. Our New Orleans cruise ship car service is also top of the line. Our drivers are always at the port early. And are ready to help their passengers in any way. From booking to drop off customer satisfaction is our priority. Our team works hard to ensure our clients have a positive experience every-time they book with us. So whether it’s an airport transfer or a cruise port transfer, count on us to get you where you want to be. All you need to do is give us a call. We’ll take care of the rest for you. And we’ll see you, in New Orleans! 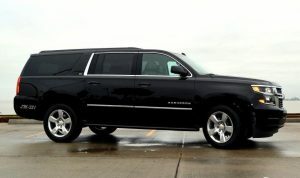 Luxe Limousines provides group transportation to and from the airport and cruise port terminal. 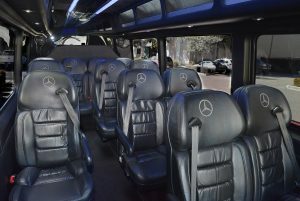 Our group transportation services include meet and greet for private and corporate travel. 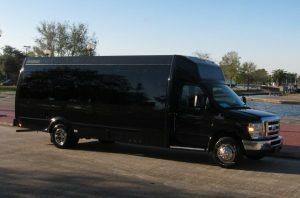 So, if you are looking for transportation for a large group, Luxe Limousines the one to call. We know large groups can be stressful. But don’t worry we can handle large groups. Let us make it easy on you. We have plenty of experience with large groups. Let our team give you and your guests the ultimate travel experience. So call now and book with the best New Orleans airport and cruise terminal car service.